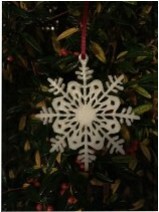 Craft In 3D – 3D Printed Portraits and 3D Designs Kent | Christmas Decorations that Glow in the Dark. 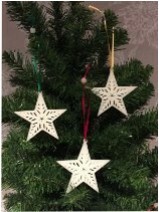 How about adding an extra bit of magic with these Christmas decorations that glow in the dark. During the day they absorb any light and when you turn off the lights they give a lovely Christmas glow. 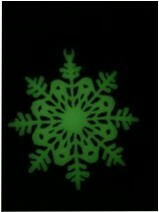 Glow in the dark Snowflake decoration. Christmas snowflake decoration glowing in the dark. 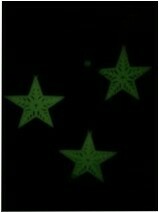 Glow in the dark Christmas star decoration. Magical glow in the dark Christmas Star.